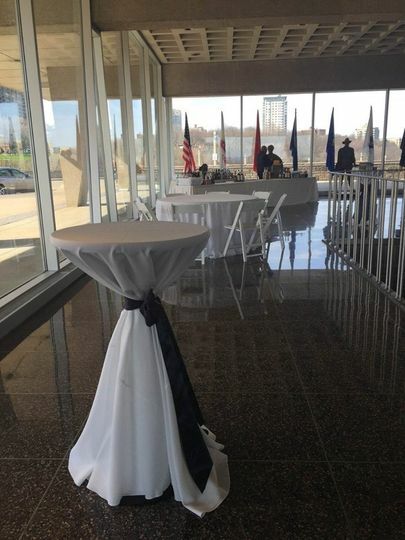 The War Memorial Center, a stunning landmark on Milwaukee’s lakefront, is one of Wisconsin’s best keep secret for weddings. 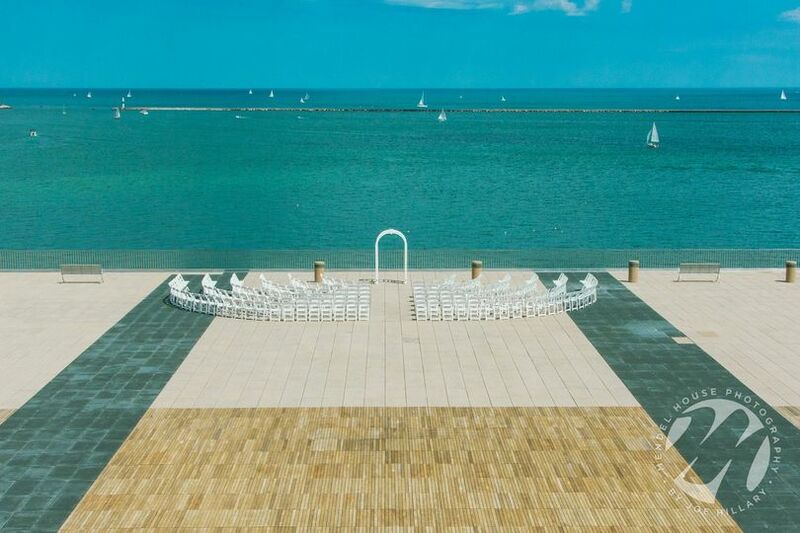 Featuring spectacular natural views, this incredible venue was designed by renowned architect Eero Saarinen and rests between the Milwaukee Art Museum and Veterans Park. This unique space has both indoor and outdoor facilities that will not disappoint in making your love story come alive. 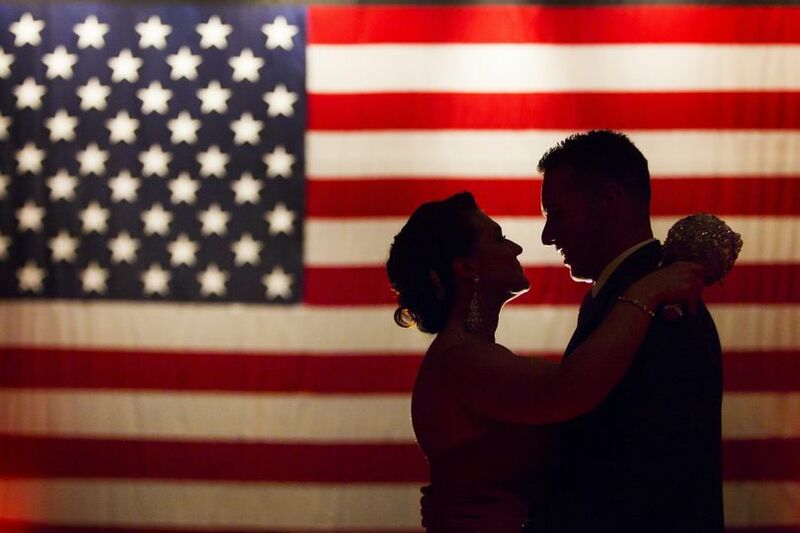 The War Memorial Center's experience and professional staff is committed to helping you plan an occasion that you and your guests will never forget. 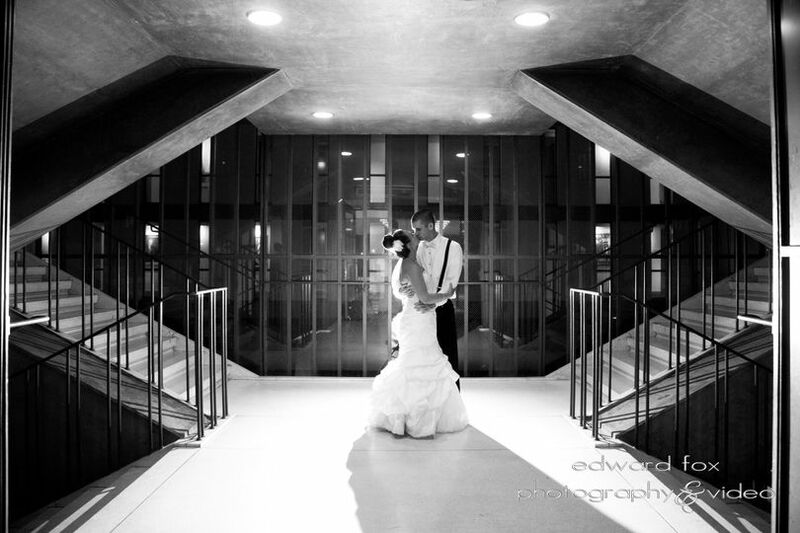 For a magical event that will exceed your wildest dreams, hold your ceremony and reception at the War Memorial Center! The venue’s majestic (and newly renovated!) 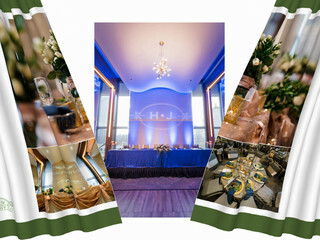 banquet hall is surrounded by scenic views of downtown Milwaukee and can accommodate up to 260 guests. 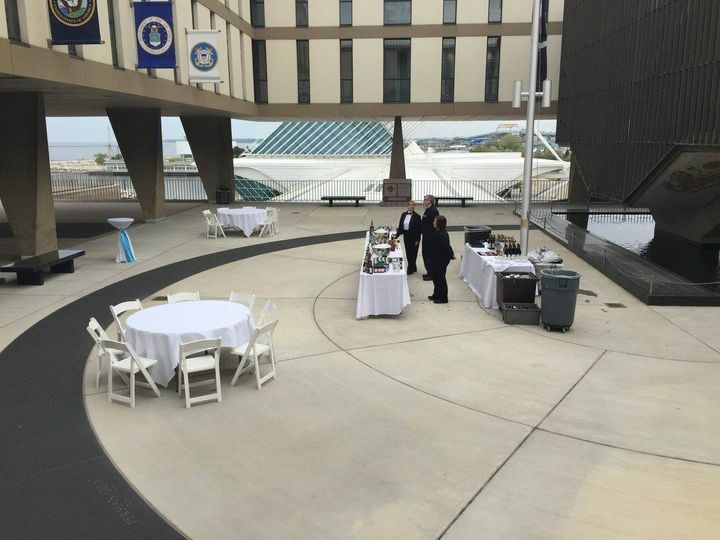 The outdoor plaza, complete with picturesque views of Lake Michigan and the Calatrava addition to the Milwaukee Art Museum, can accommodate more than 800 guests. 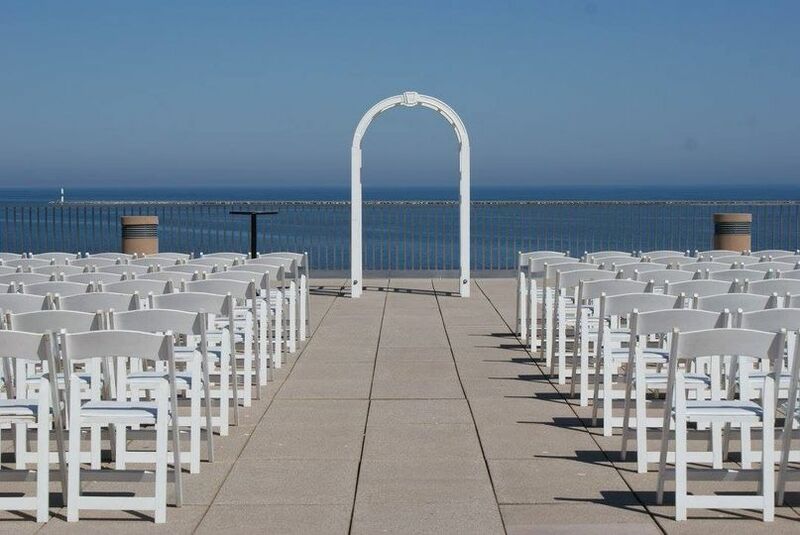 Most couples hold their ceremony on site on our plaza over looking Lake Michigan and then transition to our indoor banquet hall for dinner and dancing. The venue offers white wood chairs for outdoor events, tables, chairs, a riser and a beautiful dance floor for the indoor banquet hall, including setup and cleanup. The War Memorial Center was built on the vision of the Zonta, Altrusa, Business and Professional Women’s Club and the Milwaukee Civic Alliance to create a fitting memorial to honor those killed in WWII. 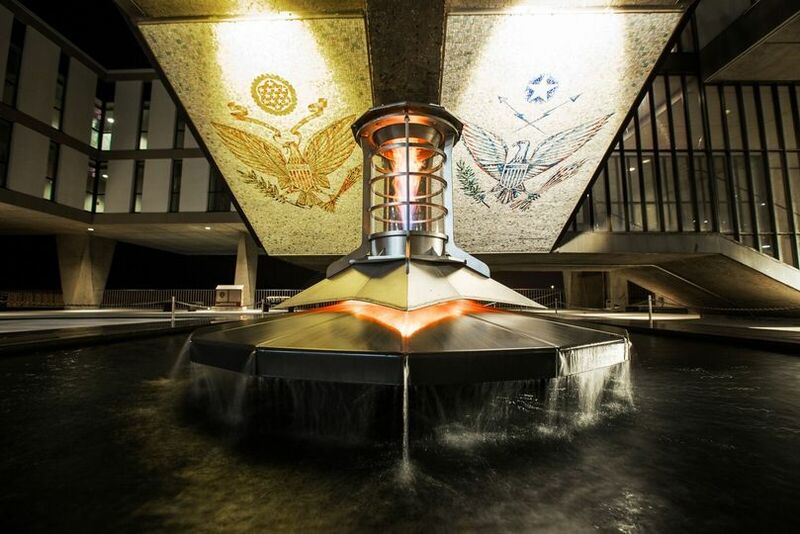 The building was dedicated on Veterans Day 1957 as a testament to the men and women who served our nation when called. 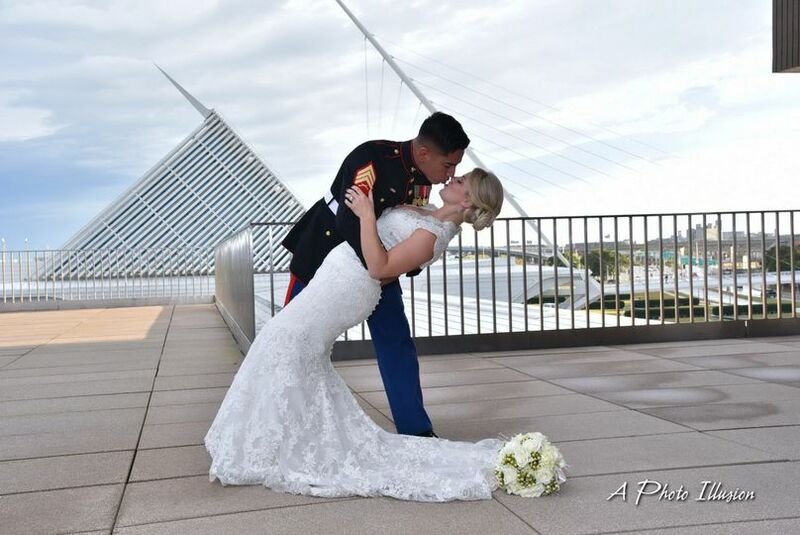 When we first began planning our wedding, we knew that we wanted to have it held at the Milwaukee County War Memorial simply because military has been a huge part of our family's life and the views were unbeatable. This was just the tip of the iceberg! From the beginning, Jennifer was prompt with any inquiring that we had and went above and beyond. Fast-forward to the day of... again, Jennifer was so helpful with accommodating all of our requests and her assistant, Joy, was literally the best to work with throughout the day. Everything went absolutely flawless, minus some annoying rain, but they worked around and through it. 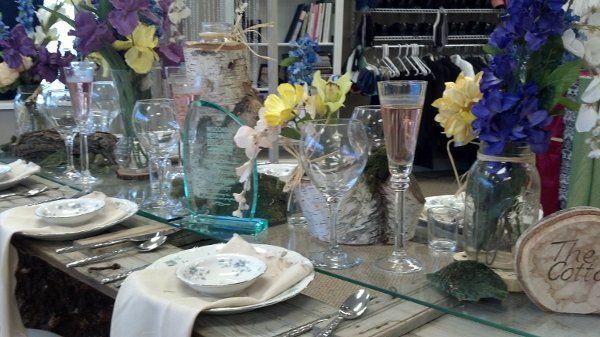 The evening was absolutely perfect-more than we could have ever hoped for! We got so many compliments on the professionalism of the staff and how beautiful the venue was. Thank you for making our day so wonderful! Thank you Andy! We loved working with you and Dan and wish you both the best! Absolutely no regrets going with War Memorial! We ended up having our ceremony & reception on site (which our guests really appreciated) and they made the whole process a breeze! Jennifer was our contact throughout the process and she was fantastic to work with! She was always very responsive when we had questions, always had plenty of time if we needed to meet & ensured that our day went smoothly. 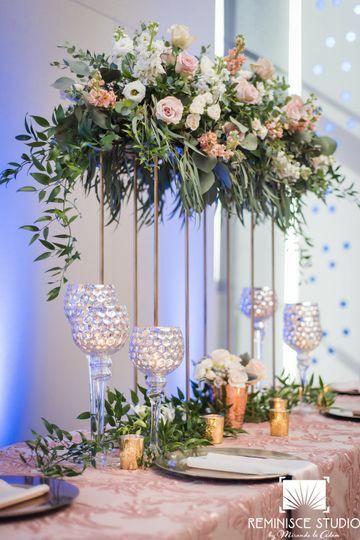 The reception hall was recently renovated in the summer and it looked absolutely GORGEOUS for our big day! Very spacious & the colored lighting they set up for us made the room look amazing. 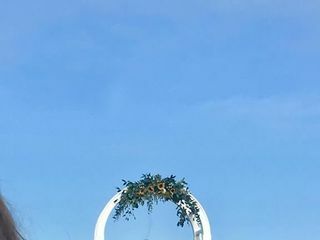 We got (and are still getting) so many compliments on how much they loved our venue. Being able to have our wedding all in one location was fantastic & we were extremely happy with our decision. Would definitely recommend ! The staff and the venue was top notch. would definitely do this again.